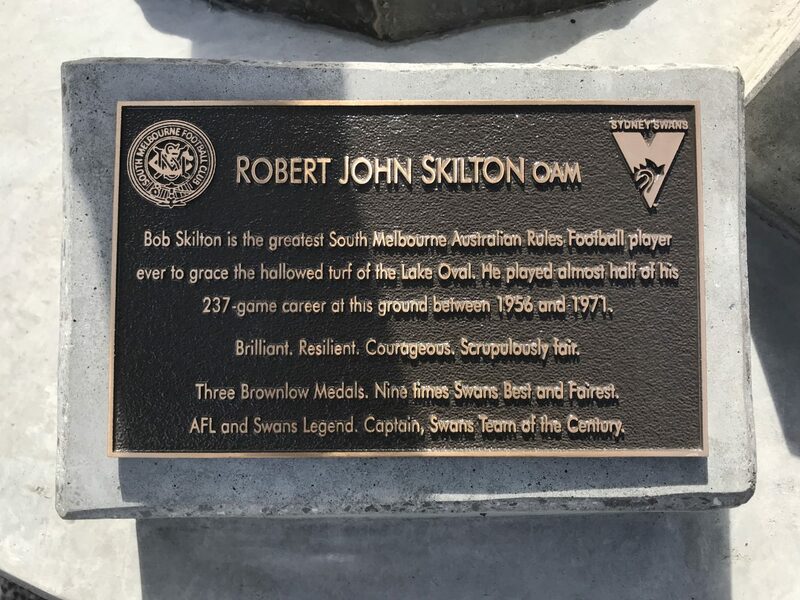 The career of Bob Skilton, including three Brownlow medals and numerous state team selections has inspired many, both on and off the sports field. 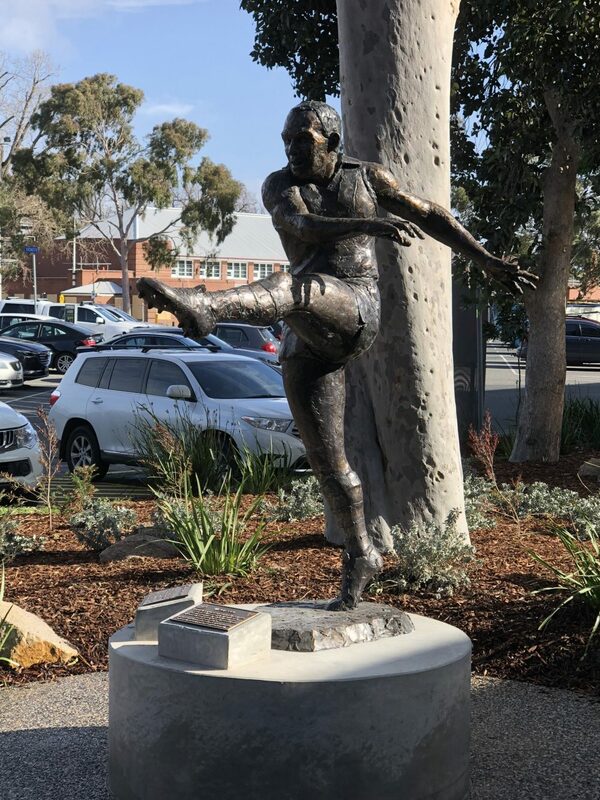 The unveiling of a statue in his honour, at Lakeside Stadium – Albert Park, is recognition of his contributions to his sport and the community. 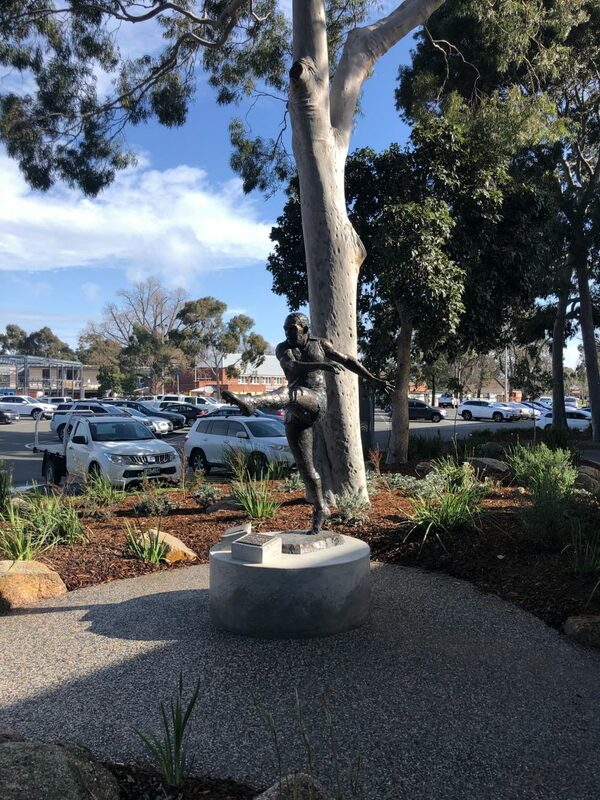 Davidson Design Studio was engaged by the State Sport Centres Trust to design the podium to support the statue and to create a landscaped setting for its inclusion at the entry of the Sydney Swans Melbourne office. 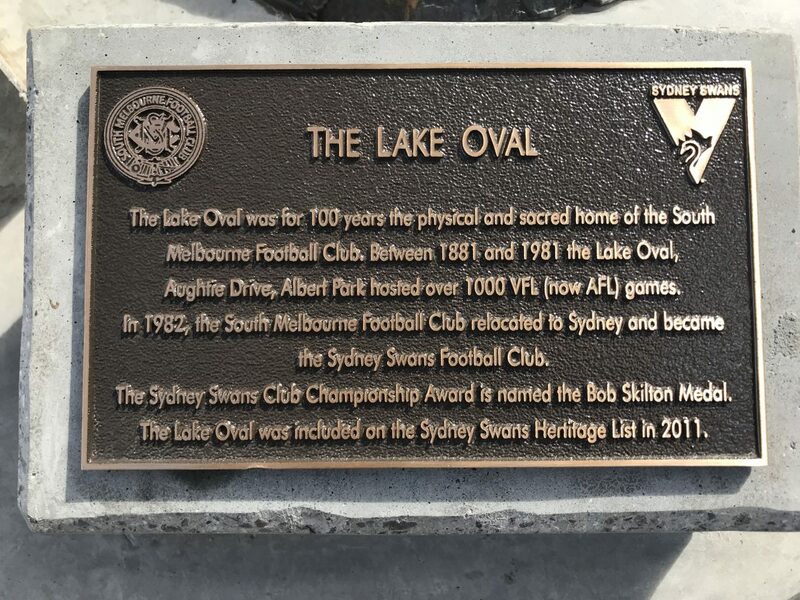 The statue sits proudly on an off-form concrete podium, with plaques providing recognition of Bob Skilton’s career and achievements at Lakeside Oval, while an exposed aggregate concrete path allows visitors to interact with the statue. The surrounding landscape consists of native shrubs and groundcovers amongst natural rock features, and beneath the canopy of existing Eucalypts. 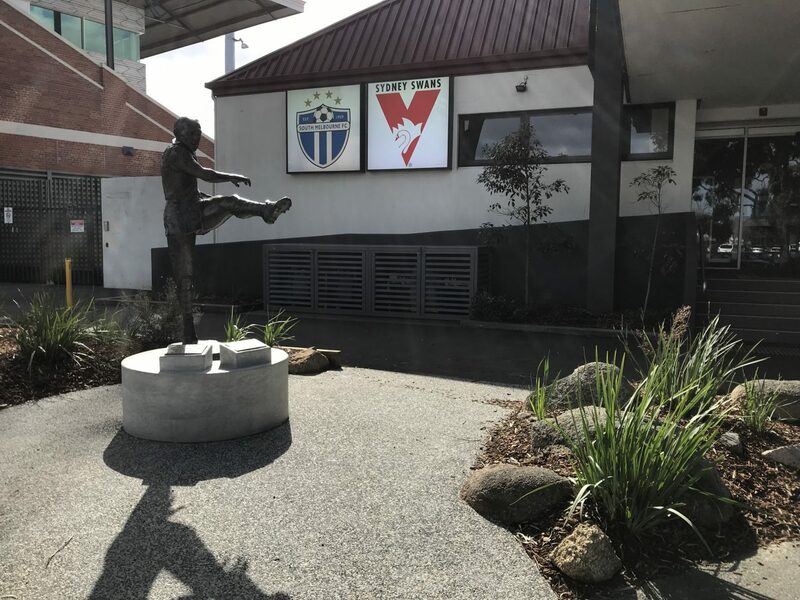 The space is a perfect addition alongside the heritage listed grandstand of Lakeside Stadium and the Melbourne base for the Sydney Swans Football Club.